Ever since he and his longtime girlfriend, Jessica, visited Puerto Rico in the Summer of 2015, Alexander Plaza had been making plans to return to the island to volunteer with The Sato Project. As an ardent dog lover, he was deeply affected by the suffering he witnessed, and he and Jess, a veterinary tech, were determined to help. Tragically, Alex died suddenly in November 2015 at the age of 24. His loss has been devastating to his close-knit family, and to the love of his life, Jess. Alex is deeply missed by countless former classmates, teachers, friends, and colleagues who adored him for his warm, kind, and exuberant spirit. Knowing how much Alex wanted to help the dogs in Puerto Rico, his family encouraged donations in his memory to The Sato Project. The outpouring of generosity has been remarkable: As of March 2019, we have received over 340 gifts totaling over $28,500. The Sato Project is honored and grateful to be on the receiving end of this much love in Alex's memory. We established Alexander D. Plaza Critical Care Fund to cover the veterinary expenses for dogs requiring intensive medical intervention, due to injury, abuse, disease or neglect. This page is dedicated to Alex's story, and to the stories of the dogs we have been able to help thanks to the support of his friends, family, loved ones, and to others who have been touched by his story and have donated to this fund. Above, Alexander Plaza with his beloved dog, Corona, and standing proud at his graduation from the Federal Reserve Police Academy in August of 2014. Saddened to learn of his loss, The Sato Project is humbled to now have him as a special Guardian Angel for our neediest pups. Captain Will was hit by a car and tragically left to die on the side of the road. He was saved by two vet techs from our Candelero veterinary clinic who had seen the car hit him and keep driving. We tried to save his right eye, but unfortunately it needed to be removed. Once he was under anesthesia we discovered that he also had a broken pelvis and severe skin lacerations from being dragged. 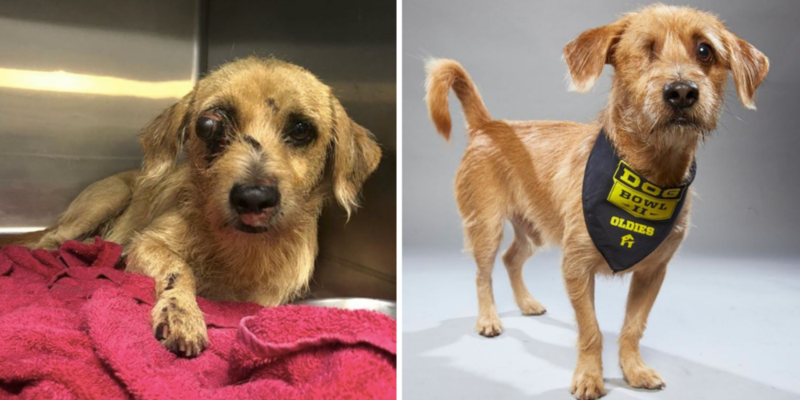 We knew it was going to be a long road for this little fighter, but we refused to give up on him. Luckily our community of followers and supporters cheered him (and us) on every step of the way. Captain Will would truly not be here today without that support and the support of the Alexander Plaza Fund covering his medical care. After healing from his injuries, Captain Will took his Freedom Flight, found an adoring family in NYC, and has become a local celebrity in his West Village neighborhood. In February 2019, Will also had the opportunity to compete in Animal Planet’s Dog Bowl II. We are incredibly proud that he was able to appear on TV in front of millions of viewers, representing all of the love, hope, and strength of The Sato Project community. About two months after Hurricane Maria, one of our vet’s offices was approached by two crew members of a nearby electrical plant in Yabucoa. They found a dog there who desperately needed help. They had been feeding her but knew she needed more. 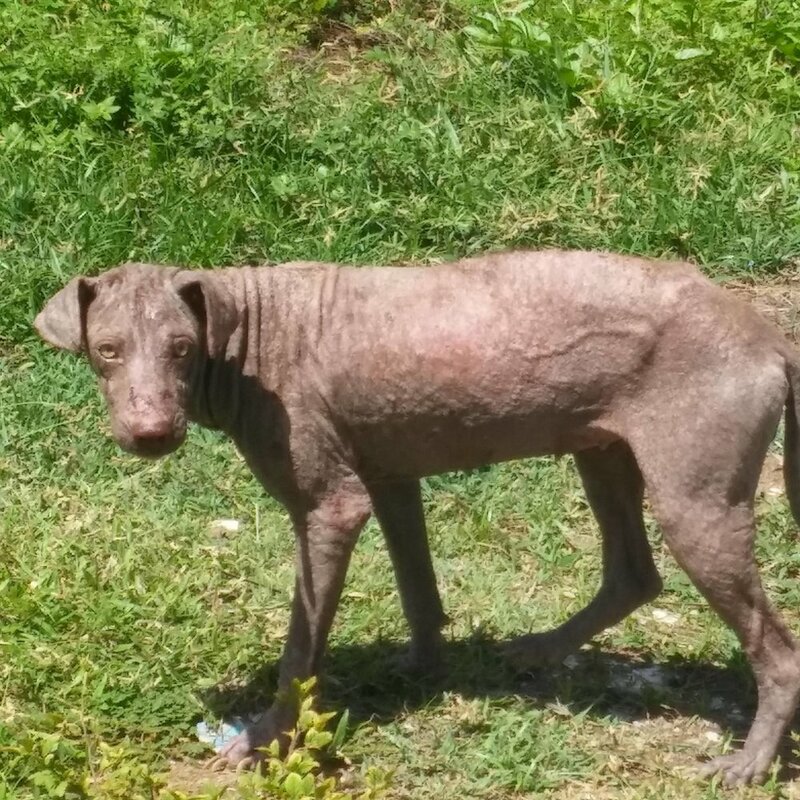 Poor Gigi was extremely anemic, her immune system severely compromised, and, as you can see from the photos, her skin was being ravaged by mange. When we picked her up, one of the lineman who had been caring for her asked, “Are you going to have to put her to sleep?”. To which we responded, “Absolutely, not. We will do whatever is needed to make her healthy again.” That’s exactly what we did. Her amazing recovery makes us extremely proud. 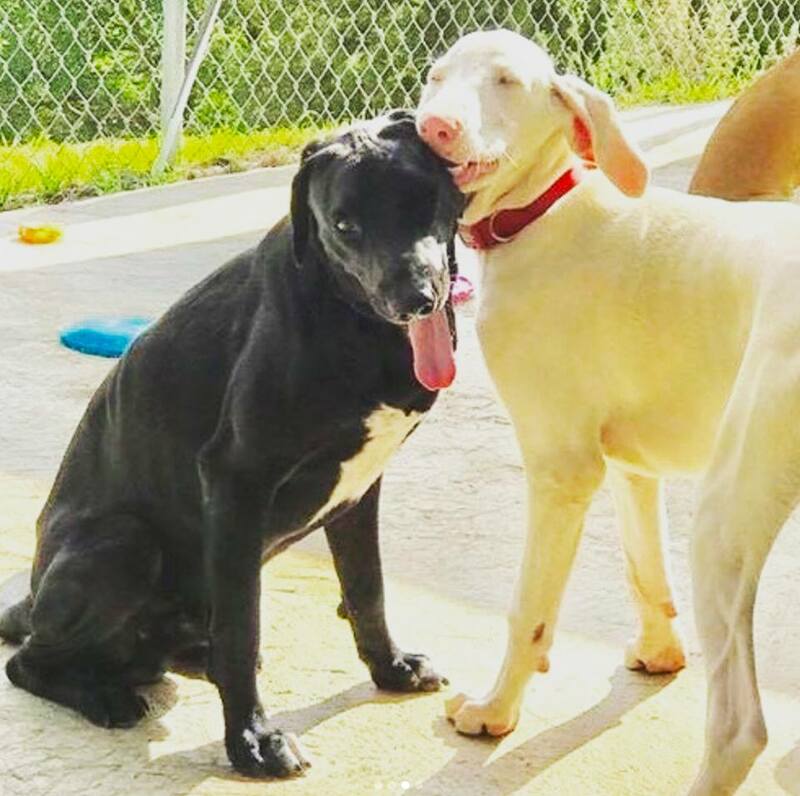 She was adopted by a longtime supporter and volunteer in Puerto Rico, and now she gets to spend her days running the beach with her loving family, playing with fellow sato neighbors (our founder Chrissy’s dogs, Charlie and Basher), snuggling into mounds of pillows, and reminding us everyday with her beautiful #satostrong smile, why we do this work. Miracle was abandoned by her owner after Hurricane Maria and then she got hit by a car that caused catastrophic injuries to her spine and back legs. To top it off, she was heart worm positive when we first took her in and to this day still has to take meds for her weak heart. We also discovered a bullet lodged in her back leg. But we refused to give up on this sweet, snuggly little lady who just wanted to be loved. And now, thanks to the support from the Alexander Plaza Fund, that is exactly what her life consists of - nothing but love, play time with her dog siblings, Cooper and Taffy, and her own personal fleet of wheels & carriages. We are so grateful to our amazing friend and supporter, Carol, for welcoming this precious, extra special sato into her heart and home. 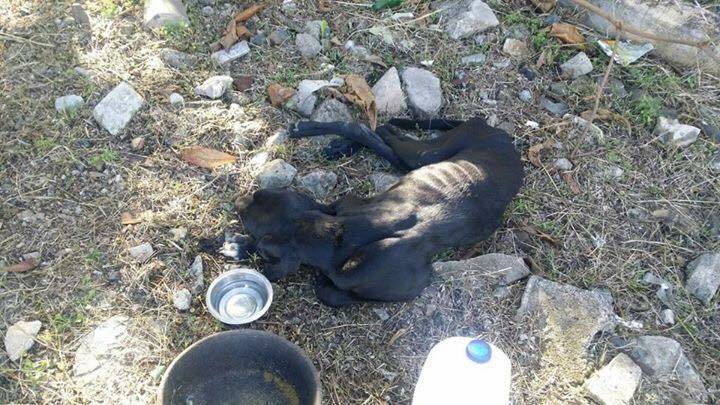 This poor boy was found lying at the side of the road, severely emaciated, and unable to walk. With some awesome teamwork we were able to quickly get him to Dr. Feliciano at the clinic in Yabucoa. We named him Cassius in hopes that he would live up to this name of one of the greatest fighters of all time. Cassius was approximately two years old and a great Great Dane mix. He should have weighed at least 80 lbs, but sadly he weighed only 39 lbs when we found him. He was severely malnourished, anemic and he could not walk. On his first night in our care, we concentrated on getting him fluids, vitamins and medication via an IV. We weren’t sure he would make it through the first night, but whatever happened, we knew he would feel loved. We prayed he would survive his first night. We knew that if he did, he would require intensive medical care, and become our next Critical Care Fund recipient. Cassius by the side of the road while we waited for help to load him in a transport vehicle. Unable to stand, we loaded him onto a stretcher. We immediately started him on IV fluids and nutrients, and a heavy dose of love! Xrays revealed a broken hip, but Cassius is eager to be on his feet. Cassius still has a long road of recovery ahead of him. Lo and behold, Cassius is indeed a fighter. We discovered after x-rays that he had a broken hip, most likely from being hit by a car. We continued his IV treatments and added calcium to help his bones heal. His sweet personality started to emerge. With each passing day, Cassius’ health improved until he was able to run around and play with the other dogs in our care at Clinica Mi Mascota and complete our remaining standard veterinary protocol. We are so thrilled that he made such a miraculous recovery. See his incredible transformation yourself in the slideshow above. He eventually took his Freedom Flight and was adopted by a wonderful family. This amazing sato never gave up and indeed lived up to his name. Now, to show for it, he is living the life of his dreams. It is all thanks to the support of the Alex Plaza Fund for giving Cassius a second chance. 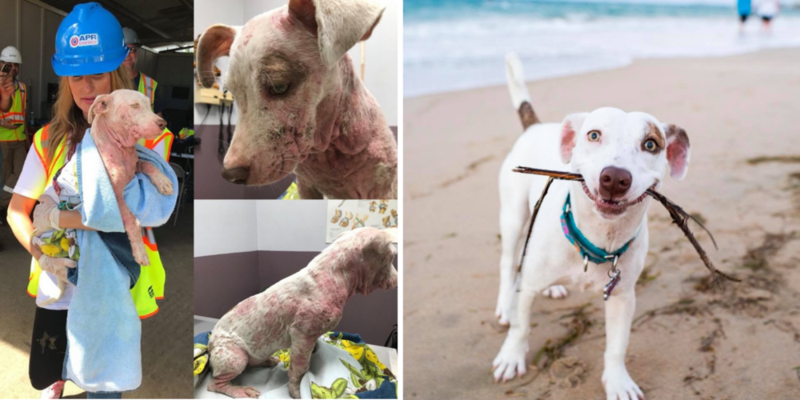 In July, this poor angel appeared on Dead Dog Beach in simply atrocious condition. She had no fur on her body. Her skin was cracked and bleeding and looked like the hide of an elephant. Her hip bones were sticking out and her eyes were wide with fright. We could not get with 100 feet of her - when we tried to approach her, she sprinted away in fear. But she was starving, and that gave us a chance to gain her trust. Ivette (our amazing volunteer Beach Coordinator) and Chrissy came up with a plan and put yummy wet food into the fenced secure FURA (The PR Forces of Joint Action) area on the beach. They know and support our work and agreed to keep an eye on our new work in progress. We had a chance to keep her safe there. Ivette went twice daily to feed our new girl at the same spot, each day with something more enticing – wet food, chicken, pinchos. Slowly Ivette got closer. And then after four days, there was a breakthrough - Ivette was able to touch our new girl for the first time! We excitedly planned how we could probably be able to catch her over the weekend, and Chrissy planned on cooking steak for her ‘freedom meal’. Well sometimes these incredible dogs know better. That same afternoon as Ivette left her food, instead of eating it, the dog followed Ivette back to the car. That was her day – July 29. We will never pretend to know what these dogs are thinking. The moment that they realize this is their chance. To trust for just one moment. To be brave. After getting her to our clinic, we confirmed she was only about 1 year old. She weighed a pitiful 24lbs. We named this beautiful girl Phoenix, because we knew that with the love and the care we could provide, thanks to the Alexander D. Plaza Critical Care Fund, she would rise. Well, after a three and a half month convalescence under the care of Dr. Feliciano, Phoenix has indeed risen to become a beautiful chocolate girl. She is now living happily with her adopted family which includes another chocolate sato from The Sato Project, Walker. We think they make quite a pair! After four days of feeding her twice a day, Ivette was able to touch her. On July 29, Phoenix realized it was time for her 'freedom ride'. Thanks to Alex's Fund, Phoenix began to recover from neglect. It would require several months of care before she was ready to fly. On November 8, Phoenix flew to NYC and was met by her loving new dad, Kyle! She now lives with her sato brother, Walker, also from Dead Dog Beach. The stories they must tell each other . . .
On May 1 2016, Alex Plaza’s uncle Dino and his cousin David embarked on a very special mission to honor Alex's memory, and to raise money to go towards the Alexander D. Plaza Critical Care Fund. Both retired military men, Dino and his son David wanted to do something for a cause Alex loved. When Dino was active military, he had done a 100 mile four-day walk in Holland. David had always loved his father's story about the walk, and came up with the idea to do a walk to honor Alex's memory. So they set up a fundraising site, and spread the word among friends, family and their communities about their plans to honor Alex with a 100 mile “Walk for Alex” over three days. 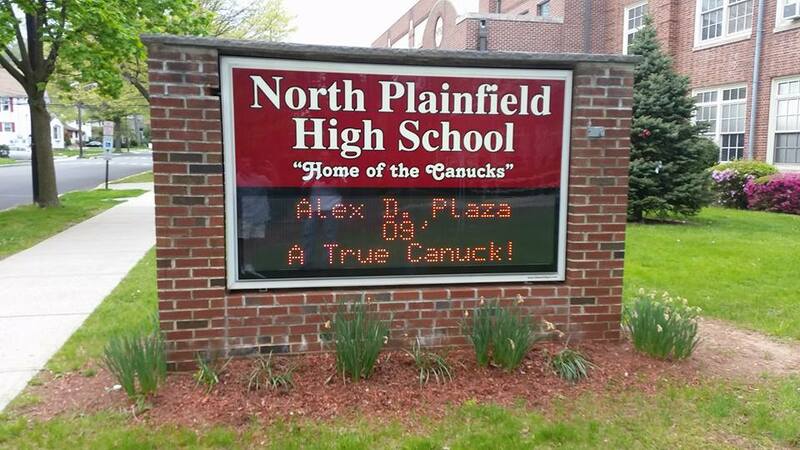 This incredible walk honoring Alex is just a small indication of the incredible amount of love this tight-knit family shares, and the degree to which Alex Plaza inspired those who knew and loved him to do amazing things. The Sato Project continues to be honored to be a vehicle for his legacy, and grateful for all the dogs we will be able to help thanks to the funds raised from the Walk for Alex. Alex's cousin David with Bobby Beckles and Samantha Gurrie at The Sato Project's office. David and his father Dino, Alex's Uncle, delivered over $6,000 to The Sato Project for the Alexander D. Plaza Critical Care Fund. Alex's family with their adopted satos! Jess with Chandler Bing, and Dino with YaYa, both adopted from The Sato Project in Spring of 2016. The first dog to be sponsored under the Alex D. Plaza Critical Care Fund was a little dog that we found not long after we first learned of Alex's tragic death. This poor pup had been dumped on the street in horrendous condition, and was being literally stepped over as people recoiled at his appearance. Although it had been a rough few weeks for The Sato Project (a parvo virus outbreak in the clinic had just claimed the lives of three puppies), this little dog became our beacon of hope. He had a host of health issues, from mange to heartworm; not to mention, he was missing an eye. And yet, his little body wiggled with delight at a kind hand, and we thought our hearts would burst. We named him Han Solo after a particularly handsome and badass hero. Well, fast forward four months and Han Solo’s story takes an even more heartwarming turn. After following his progress closely, Alex’s girlfriend Jess knew that this little dog was destined to be hers, and she adopted him in April 2016. Now named Chandler Bing, this one-eyed cuddle bug is now Jess's loyal companion. 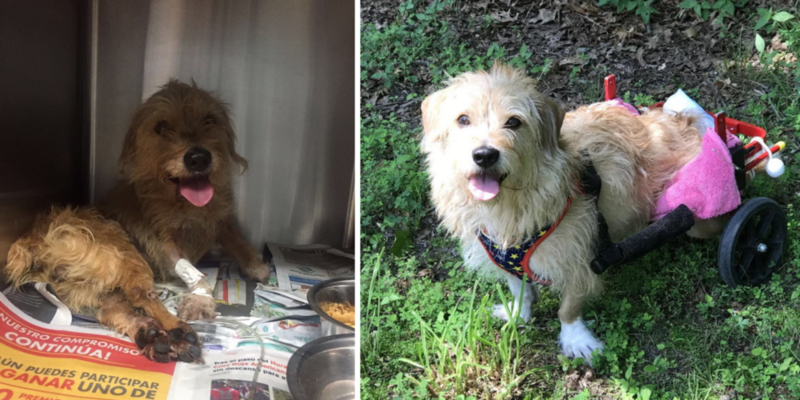 Han Solo at rescue, and then with his 'sato smile' after his beautiful recovery!